Who would benefit from one-to-one sessions? The sessions are suitable for all levels of experience from beginner to advanced yoga practitioner. You can use the session to learn how to deal with physical limitations or to cope with stress. Or you can deepen your understanding of yoga and so move forward on your own yoga journey. I have a group class in Highworth, near Swindon. The class is mixed ability with a maximum of 12 students. Classes run on Monday nights during term-time. * Exploring breath and energy. Lesley Muir has been practising yoga for over 30 years. In 1992, Lesley was awarded her British Wheel of Yoga teaching diploma. Not long after, she was introduced to the teachings of T K V Desikachar and has studied in this tradition on a one-to-one basis ever since. In 2014, Lesley completed a 500-hour advanced teacher training course to deepen her understanding of this approach to yoga. 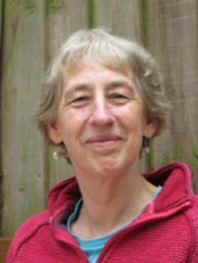 She is registered as an Association of Yoga Studies Practitioner. Contact Lesley on 01793 861379.